This building is located on the south side of Hepburn Street, next to the Philadelphia & Erie Railroad tracks. The view is to the southeast. Marshall Reid, President, lived at 230 Arch Street with his wife Josephine and children Helen, Carl and Grace in 1900. He died in 1903, and Margaret moved to Philadelphia with her daughters, where they lived at 210 S. 45th Street in 1910. 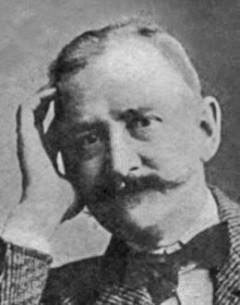 Marshall Reid also partnered with three others to establish the West Branch Novelty Company in 1893. 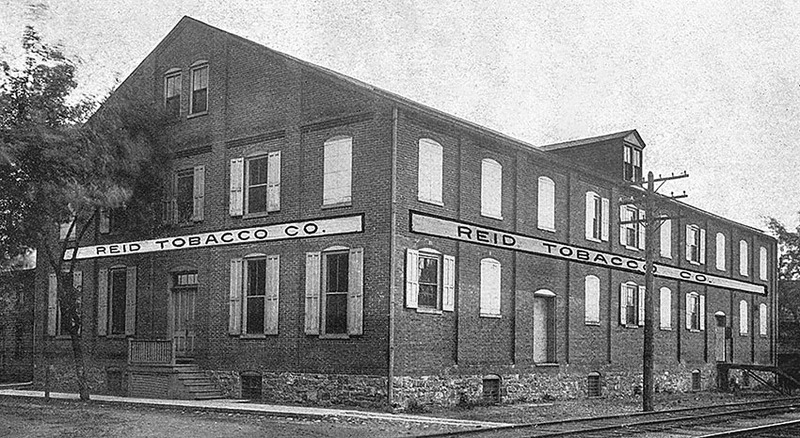 The Reid Tobacco Company was incorporated on May 1, 1902. 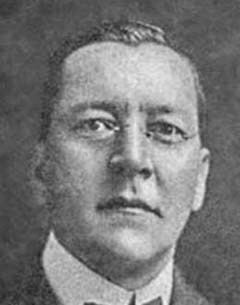 After Reid died in 1903, there was a protracted legal battle over the estate, which finally ended with a court decision on October 12, 1914. During these eleven years, the widow and children filed numerous complaints regarding control and operation of the company, as well as payments made to the various attorneys and executors involved in managing the estate. 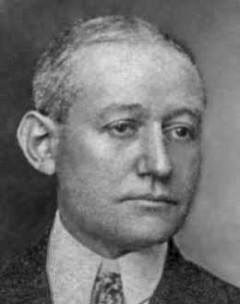 The executors were also partners in the firm, and later directors, namely William Wolfe Anspach (the largest shareholder next to Mr. Reid), and Ambrose Elwood Balliet. The trouble began when the widow attempted to vote Mr. Balliet in as president and send Mr. Anspach to the Buffalo office. In the end, Mr. Anspach prevailed and was elected president by the board of directors. He accomplished this by using his position as executor to prevent Mr. Reid’s shares from being voted. From the book “Milton, Pennsylvania, the 19th Century Town on Limestone Run” by Homer F. Folk: Starting around 1890, Marshall Reid established a first-class tobacco house in Milton. Reid & Company became one of the leading wholesale tobacconists in the country, with six salesmen on the road selling a complete line of tobacco products. Their “Busy Bee” long cut tobacco and their “Golden Bee” cigars both gained an enviable reputation. Their business continued into the twentiety century. From the book “Chronicles and Legends of Milton” by George S. Venios: Reid Tobacco Company was founded in 1886 by Marshall Reid. At one time Reid Tobacco was a giant in the distribution business, and it became widely known for True Blue Tobacco. The blend was invented in 1917 and was manufactured by L & M, Ligget and Myers Tobacco Company, exclusively for Reid Tobacco.